Movies quickly take on more than their initial meaning. I cannot think of A Christmas Story without thinking about the way that my family watches the movie every year on Christmas Eve, eating takeout Chinese food and laughing at all of the same jokes. It doesn’t matter that I’ve seen the movie dozens of times, that we can quote practically the entire film back and forth to each other, or that every year we hear the same pieces of trivia from my dad as he sits on the couch with an iPad in his hand. And even when I watch this movie outside of this context, I can feel these comforting feelings wash over me. Films tell stories. Not just the one that they are showing onscreen. They tell other stories. They tell stories of nights and days and afternoons. Of mornings spent huddled under a blanket watching Toy Story, of evenings laughing with friends. Of dinners and conversations and so much more. Films tell you their story, and in the moment that you watch them, you create your own story to go along with it. It makes it interesting to talk about film. It makes it difficult. Because when I speak about film, I don’t just speak about camera angles and direction, of acting and set design. I speak of the way in which I experienced it. Which is comprised of so many different factors. An amazing movie can turn sour in the wrong circumstances. You wouldn’t want to watch Schindler’s List during a light Sunday dinner with your family, no matter how amazing it is. Sometimes these circumstances can change the movie forever for you, the viewer. I can say with complete confidence that A Christmas Story will always hold a special place in my heart not because of the quality of the film, but because of the circumstances. We all have these films, these iconic moments in our viewing history that have become more than film, that have transcended the medium into a part of our lives. So how do we talk about them? How can we sit down and describe film in a way that might seem more meaningful than a simple qualitative assessment of it? How can we elevate the way in which we talk about film? There are writers out there that are trying to accomplish this very thing every day and it is an amazing undertaking. It’s complex to talk about film when it becomes a part of your life because it is an experience that is inherently your own. Furthermore, how much of that experience is due to the movie as opposed to the circumstances surrounding it. I cannot tell you when we began our Christmas Eve tradition, it was before I could weigh in on what we were watching. I didn’t take part in choosing the movie, and in some ways it was force onto me. But now it doesn’t feel the same way. Talking about movies like this is inherently talking about ourselves. And that is not a bad thing. Far from it in fact. At least in my opinion. Films are designed to reach out to people. I just want to tell the story of how it is done. Where does it fit though? It can’t be called an objective review, because it is the exact opposite of objective. But can any movie be reviewed objectively? Can anything that we consume be talked about in an entirely objective way. 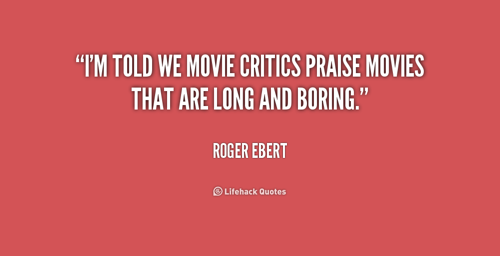 There are movies that are objectively well made that simply aren’t great movies. This viewpoint is entirely a reflection of my views as a writer. Because I am a writer. I want to create something that I could give to a reader and have them be able to identify me. Anyone can watch Pulp Fiction and say why it is good. But I want to say why it is special. To me it is. And to me it has taken on a different meaning than a simple movie.